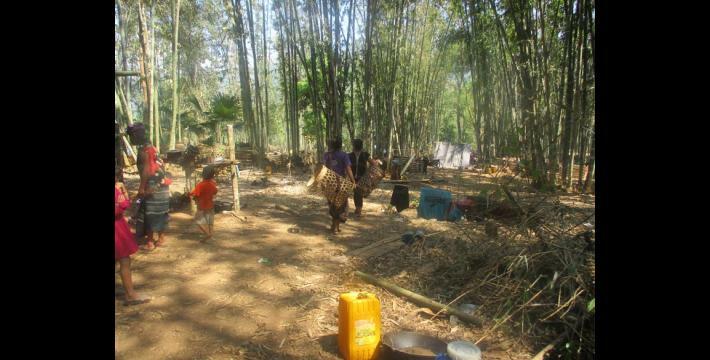 This Situation Update describes events that occurred in Dwe Lo and Lu Thaw Townships, Hpapun District during the period between March and April 2018. It includes information about military skirmishes, landmines, internal displacement, the killing of civilians and explicit threats to villagers. The following Situation Update was received by KHRG in April 2018. It was written by a community member in Hpapun District who has been trained by KHRG to monitor human rights conditions. This Situation Update describes military skirmishes that occurred in Lu Thaw and Dwe Lo Townships, Hpapun District, when the Tatmadaw began constructing a military road in March 2018. 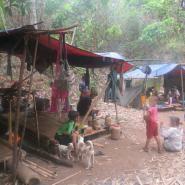 The fighting has led to the displacement of local communities, who have fled into the jungle. During this period, the Tatmadaw killed a community activist, shot at civilians, and intimidated local communities. In response to Tatmadaw incursions, the KNLA laid down landmines. They are both in violation of the Nationwide Ceasefire Agreement Code of Conduct. 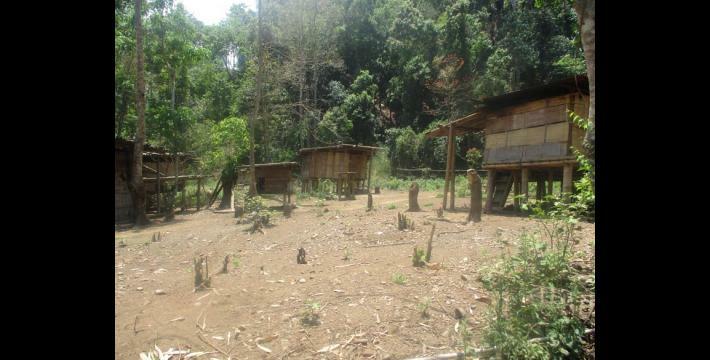 In March 2018, the Tatmadaw began building a military road between Kay Pu and Ler Mu Plaw village tracts without seeking the prior consent from the KNU and local civilians, causing tensions with the KNLA and local population. [Local community members estimate that up to one thousand Tatmadaw soldiers were involved in this road construction]. 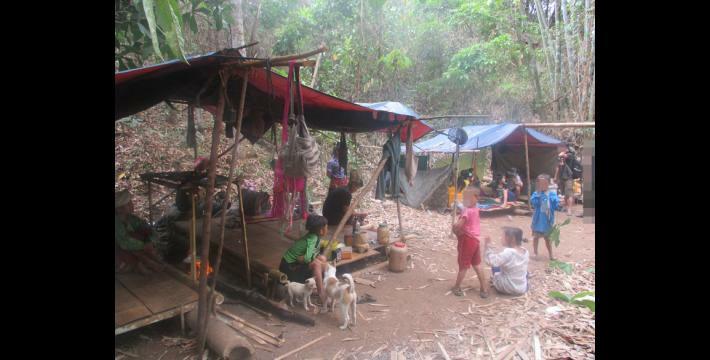 The Tatmadaw also trespassed into a Karen National Union (KNU) controlled area. 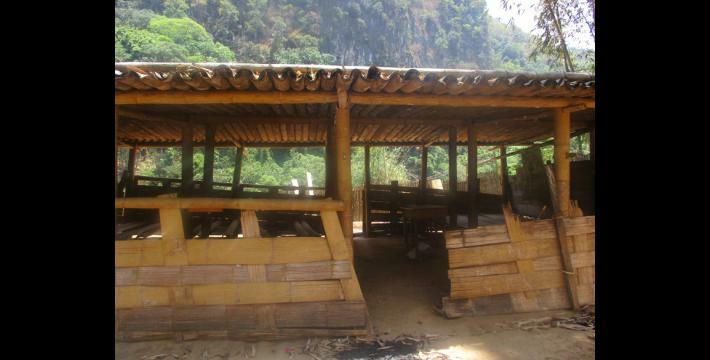 They patrolled in local villages and destroyed a KNU checkpoint. On April 6th 2018 at around 5 PM, the KNLA Battalion #102 Company #3 attacked the Tatmadaw Light Infantry Division (LID) #22 at the Tatmadaw camp in Maw Law Klo. A Tatmadaw soldier sustained injuries. After the fighting ended, Tatmadaw soldiers went to the shop of a local village head. A soldier threw him to the ground and said, "You didn't inform me that [the KNLA] would attack me!" The soldier fired his gun close to the village head to scare him. He then escorted the village head to his village. 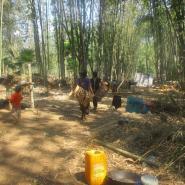 When the Tatmadaw soldiers arrived in the middle of the village, they threatened the local community. A Tatmadaw soldier said: "People shall not attack me! If they attack me, I will burn down the village, detain the village head in the village or kill him." [In the aftermath of this incident], the LID #22 exchanged places with LID #44. Tatmadaw LID #44 told the village head that they will not patrol in the KNU controlled area. They also told the village head to inform and report to them if any incidents happened in the local area. In response to the skirmishes that occurred during this time period in Lu Thaw Township, the KNLA patrolled the area under their control and set up landmines. [This is a violation of the Nationwide Ceasefire Agreement Code of Conduct.] The KNLA informed the local population about where the landmines are located. They also told villagers in Kay Pu and Ler Mu Plaw village tracts that if they want to travel somewhere, the local authorities would guide them [so that they would not step on landmines]. 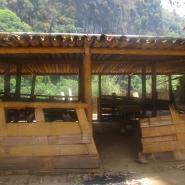 So far, four buffalos and a goat belonging to local villagers were killed because they stepped on a KNLA landmine. 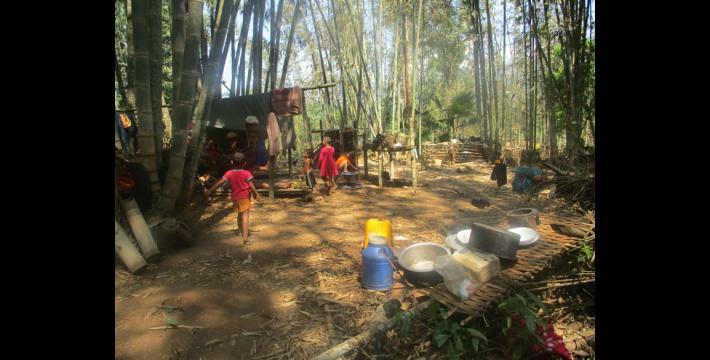 Since the Tatmadaw started building a military road, local civilians from Lu Thaw Township do not feel safe to live in their villages. Many people have fled into the forest from March 3rd 2018 onwards. Because of the rapid escalation of the situation, most internally displaced people did not bring enough food with them when they fled. The Tatmadaw temporarily stopped constructing this military road on April 10th 2018. 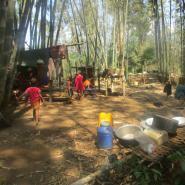 However, they did not withdraw their troops, which continue to patrol through the farms of local communities. 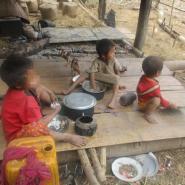 They did not withdraw from their army camps, situated close to local villages. The Tatmadaw sent more ammunitions, heavy weapons and soldiers to the Lu Thaw Township front line. Because of this, many IDPs do not feel secure enough to return to their villages to look after their animals and work on their hill and plain farms. Some of their animals were starving, and villagers had to sell them at a very low price. An IDP reported that, "It is the time to start preparing our hill and plain farms [in order to plant paddy], but we do not dare to return and work on our farm. We have concerns for our future livelihoods. We will possibly face food shortages in the coming year." Between March and April 2018, the Tatmadaw was also involved in a number of incidents that endangered and intimidated the local population of Lu Thaw and Dwe Lo Townships. In March 2018, Tatmadaw killed three buffalos belonging to a local farmer in S---village, Lu Mu Plaw village tract. Two buffalos were shot by the Tatmadaw and another one was killed by Tatmadaw shrapnel. The local community was told by the Karen National Union [KNU] that, "the Tatmadaw reported that they shot the buffalos by mistake. 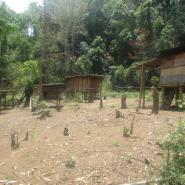 They thought that the KNLA were attacking them so they opened fire." The local community does not believe that the Tatmadaw accidentally shot the buffaloes. The Tatmadaw unit that patrolled in this area is the Tha Bo Southern Command Headquarter (351). On April 5th 2018, Tatmadaw soldiers killed the community activist Saw O Moo, who was returning from a meeting to organise humanitarian assistance. On his way to the Htee Hsee Hta area, Saw O Moo met a Battalion Deputy Commander from Company #2 Battalion of the Lu Thaw Township Karen National Defence Organisation [KNDO] Battalion #1. The KNDO Battalion Deputy Commander asked Saw O Moo to take him to Ler Mu Plaw on his motorcycle. Tatmadaw soldiers opened fire on them. Saw O Moo was shot dead, and his body has not been recovered so far. The KNDO Battalion Deputy Commander was able to escape. On the same day when Saw O Moo was murdered, the Tatmadaw also shot at other civilians travelling on the same road. Tatmadaw presence in the area has frightened local communities and restricted the freedom of movement of civilian populations. For detailed information, see "Hpapun Incident Report: Explicit Threats in Dwe Lo Township, April 2018" KHRG, September 2018. For detailed information, see "Hpapun Incident Report: Tatmadaw killed villager's buffalos in Lu Thaw Township, March 2018" KHRG, July 2018. For detailed information, see "A Karen Community Leader, Saw O Moo, Was Murdered by Tatmadaw forces in Hpapun District, April 2018" KHRG, July 2018.